As promised, here’s a summary of how the SMA Crossover Pullback forex mechanical system performed for Q3 2016. If you’re wondering what I’m talking about, make sure you look at the trading rules and risk management adjustments first. Before reading on, let’s cap off the quarter with a review of the positions from last week. All the pairs I’m watching for this particular strategy had new trades left open so these positions would be part of Q4 numbers. 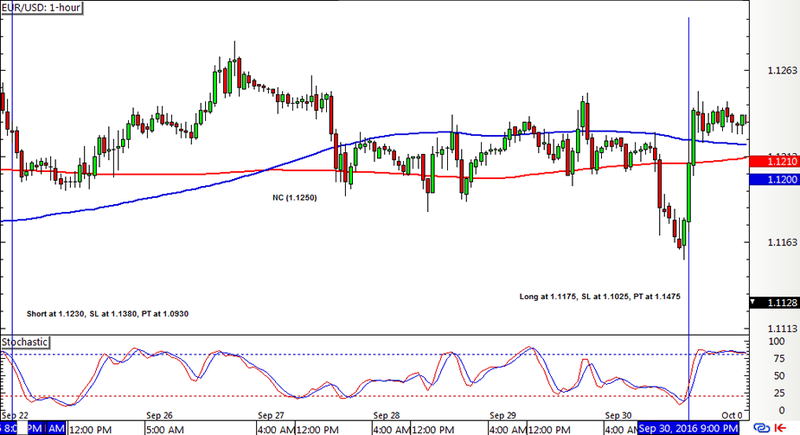 EUR/USD had a short position left open from the other week but this was closed for a tiny loss when a new crossover formed. 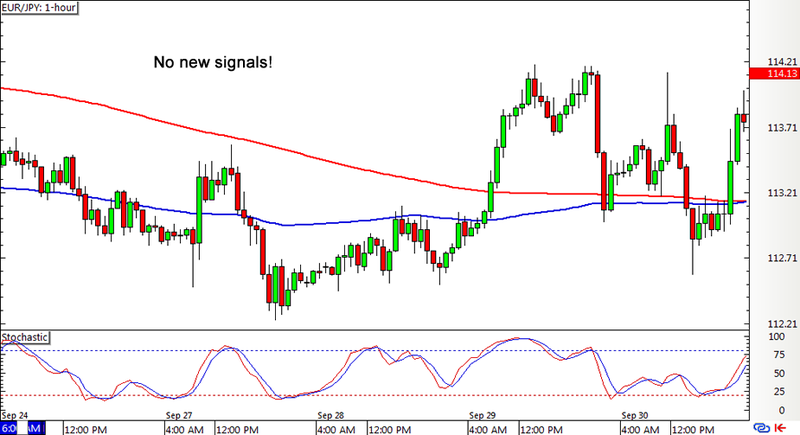 This was followed by a long stochastic pullback signal on Friday. Cable hit its profit target on the selloff a few weeks back and there haven’t been any new crossovers yet so no other positions were opened. 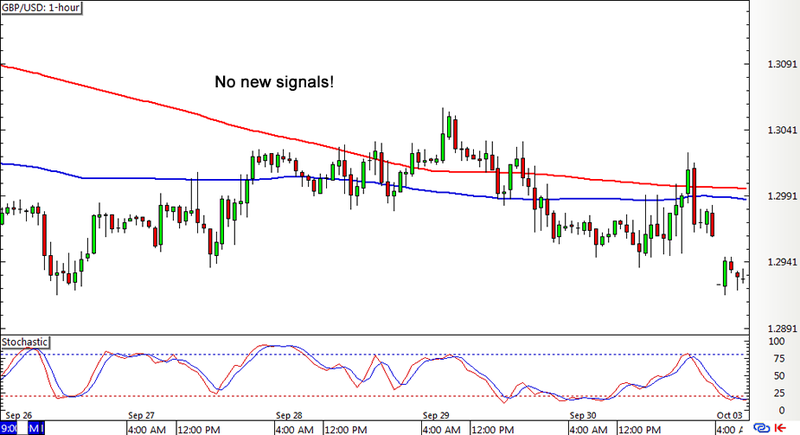 Similarly, there were no new crossovers or stochastic pullback signals on EUR/JPY, as its new positions may have to wait until October. 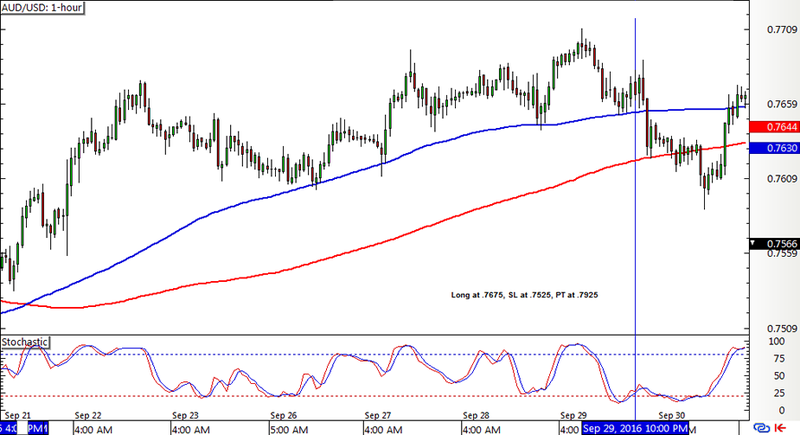 Lastly, AUD/USD had a new crossover the other week but it took some time before stochastic dipped into the oversold region and pulled right back up to generate a long signal. So the system ended the quarter with a teensy 20-pip loss or a 0.13% dent on the account… Not exactly the strong finish I had hoped for but let’s see how it all adds up for the quarter. Here you go! All in all, the system ended with a 879-pip win or a 5.95% gain (compounded) on the account as most weeks closed positive while the losses were minimal. It was off to a strong start with a big win in the first week of July and another 2% gain in the first week of August, followed by back-to-back weeks of more than 1% wins. September was a bit shaky as market conditions were pretty tight for the dollar pairs but the system managed to close that month in the green as well. That brings the year-to-date total to 19.63% after adding the Q1 2016 and the Q2 2016 numbers. So far so good, and we’ve still got one more quarter left. Stay tuned, humans! Here are some books if you want to get deeper into building systems & algorithms. BabyPips.com receives a small credit from any purchases through the Amazon links above to help support the free content and features of our site…enjoy!